Because of your questions I'm pleased to present the below information, specifications and requirements for M.2 on various Dell models. Find instructions here on the Dell Community. Parts needed to install an M.2 into the 2.5 inch bay are the same as the 7710 above. Discussed here on Dell Community. Parts needed to upgrade from 2.5 inch drive to M.2 drive are same as 3510 above. Parts needed to upgrade from 2.5 inch drive to M.2 drive are same as 3520 above. On motherboard M.2 installation instructions found here. Note: not all systems and service tags will have an image available for download. Note: Even though Dell Hosted Images have USB3 drivers slip streamed in, they may not include the IRST driver at this time. ( some may know this at the F6 driver ). As a result you may need to install the IRST driver manually during the Windows install process. 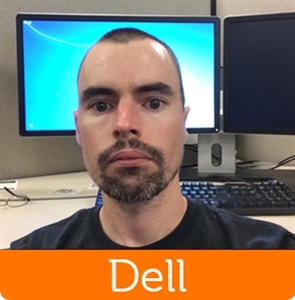 Dell is currently working to add the IRST driver to the Dell Hosted Images. No ETA on when this will happen at this time. i want to upgrade my Latitude E5570 HTG34 (500GB HDD) with a Samsung SSD SM951-NVMe 128GB (or similar). Will this work as a bootable dirve? The answer is yes. The M.2 drive will be the main boot drive as it would actually be the only drive inside of the unit at that point. I'd like to find out whether would it be possible to upgrade my Vostro 14 5468 with m.2 Sata ssd (6Gbps)? Yes, the Vostro 14 5468 does support M.2, according to my documentation. I've also having Vostro 14 5468, and i'm thinking to add another SSD in the 2nd bay. May i know if the bracket and ribbon cable are ready in the 2nd HDD bay or i need to purchase it. I have upgraded my Inspiron 17 7778 to a 2TB SSD, but cannot get my new Sumsung 950 Pro M.2 to work in the M.2 slot. Any suggestions? It would take me a while to find that out. It will be faster if you remove the cover and check from your end. Try installing the Samsung driver listed in my original post. It's under "OS install notes:"
So if we want to add an M.2 SSD or a 2.5'' HDD to, say, a Precision M5510, exactly where do we go (other than auction sites) to order the needed parts? e.g. when I search for "88DJK" (the M.2 thermal pad), "XDYGX" (the HDD cable) or "3XYT5" (the rubber side isolators for HDDs), here on dell.com or dell.com/support, all I get is "No results found" for those part numbers. Also, what size screw is needed to secure the M.2 module? 3mm? For spare parts and upgrades you can call 1-800-357-3355. If you still need help after calling send me a friend request with your info and I'll see what I can do.